Not much has been spoken about the rumoured Android 7.0 Nougat-powered HTC Bolt smartphone, and HTC has so far managed to keep the device a secret. That is until leaked renders started making their way on to the Internet in September. On Friday, some fresh leaked images surfaced online that tell us all about the smartphone – at least in terms of design – including the disappearance of the headphone jack. Noted tipster Evan Blass (@evleaks) let out some live images of the HTC Bolt that suggest the smartphone draws inspiration from the HTC 10. 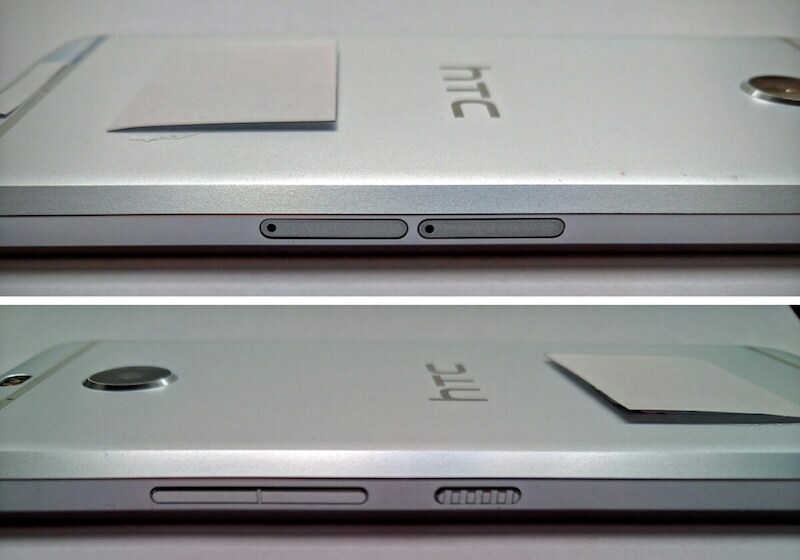 Images of the HTC Bolt tip an all-metal build tip with chamfered edges and antenna lines similar to the HTC 10. The front of the Bolt is also similar to HTC’s recent flagship with backlit navigation keys on either side of the Home button, which is likely to house a fingerprint sensor. It seems like company wants to hold on to the HTC 10’s aesthetics with the Bolt, seeing as how the design of the flagship has been well received. The volume controls and power button are found on the right side while two trays (one for microSD and one for SIM) are found on the other side. 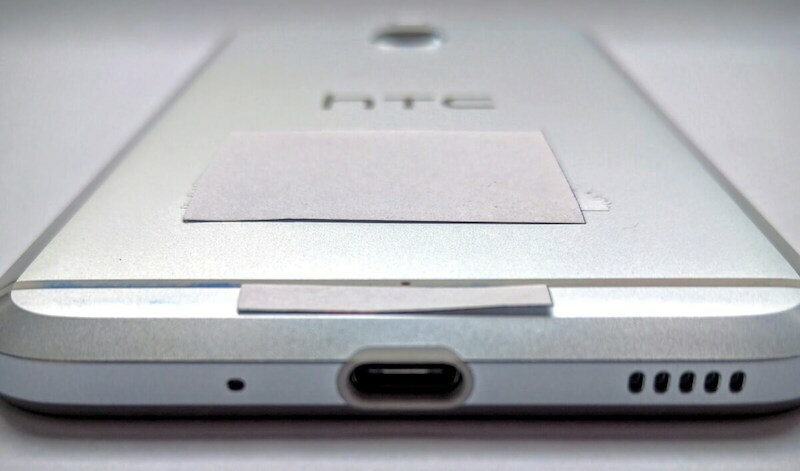 The HTC Bolt has a single firing speaker at the bottom next to the USB Type-C port. The main difference is found at the back where the flash module is placed above the antenna line. The Android Nougat-powered HTC Bolt has been tipped to sport a larger 5.5-inch full-HD display and feature 3GB of RAM and 64GB of storage. Optics include an 18-megapixel front with f/2.0 lens and 4K video capture and an eight-megapixel front-facing camera. The HTC Bolt is the newest in smartphones ditching the 3.5mm headphone jack following offerings from Motorola (Moto Z and Moto Z Force), LeEco (Le 2, Le 2 Pro and Le Max 2), and Apple (iPhone 7 andiPhone 7 Plus). The report adds that the HTC Bolt will offer BoomSound audio-enhancing tech, but only when listening with headphones. 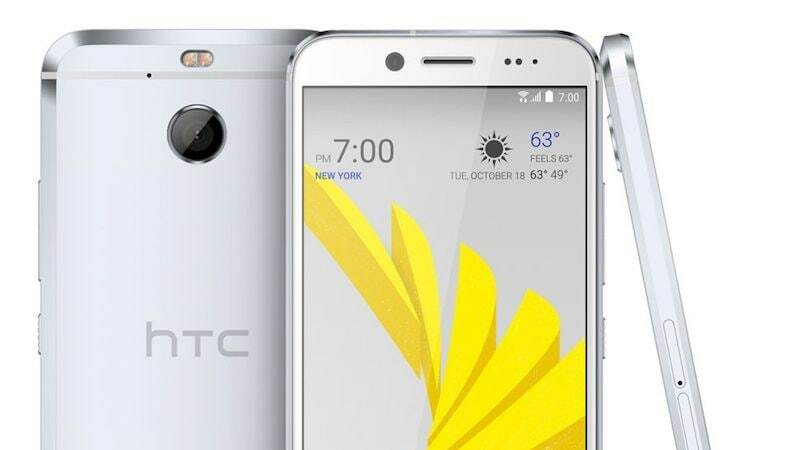 Remaining specifications and pricing of the HTC Bolt are still under wraps.